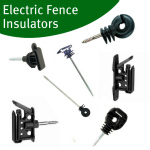 We have a large variety of electric fence energisers from 9v, 12, Mains and Solar powered fence energisers all backed up by a minimum 2 year guarantee. We stock branded energiser fencers such as the Rutland Electric Fencing Electric Shepherd range, the Horizont Trapper and Copel energisers and the AKO X and AN models. There budget fence energisers for use with strip grazing and also large energisers for use with huge fence systems available. When choosing an electric fence energiser you firstly have to look at the power source you are going to use. We have mains fence energiser, 12v battery fence energisers, dry battery energisers and solar electric fencer units to choose from. Your decision will depend on your proximity to a power source, budget, whether the fence will be temporary or permanents and the animal you are fencing. 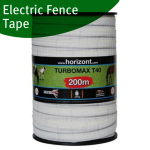 The size of your electric fence is also an important factor in deciding which energiser you need. Each fence energiser has 3 distance ratings giving you the amount of fence an energiser can power with no vegetation, moderate vegetation and high vegetation. If you are unsure it is always best to use the moderate vegetation rating so you can see if the fence energiser is suitable. 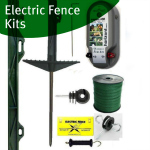 Electric fence energisers are of course main component of an electric fence which transforms the power from the source either battery or mains into a current which can power the fence. In our store we have a wide selection or wet battery, dry battery and mains powered energisers to choose from. 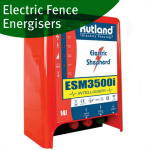 Our Rutland Electric Shepherd range gives you the opportunity to choose the correct energiser for your fence. We also stock Horizont AN Trapper Dual Power energisers and a selection of AKO electric fence energisers. Please view the specifications on each of the product pages to find out more information about the electric fence energiser. 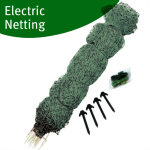 If you are unsure of the electric fence energiser you need for your system please get in touch and we can advise. The first choice you must make is what type power energiser will suit your needs. Wet battery are the most popular such as ESB 57 and are powered by a 12v battery such as a leisure or car battery. These are easy to install, move around and maintain by simply recharging the battery when the fence power is low. Dry battery energisers are usually more compact and have different size batteries for each energiser which we supply in store. These are designed as a cost effective option for strip grazing and electric fencing in your garden. Mains energiser are designed for more permanent use and are powered by a normal 240v mains socket. This enables you to leave the electric fence energiser inside a battery and run a lead out cable to your fence. This the most cost effective way of powering a semi-permanent or permanent fence with electricity costing only a few pounds per year. Each mains energiser product page displays the average electricity cost for each energiser we sell.